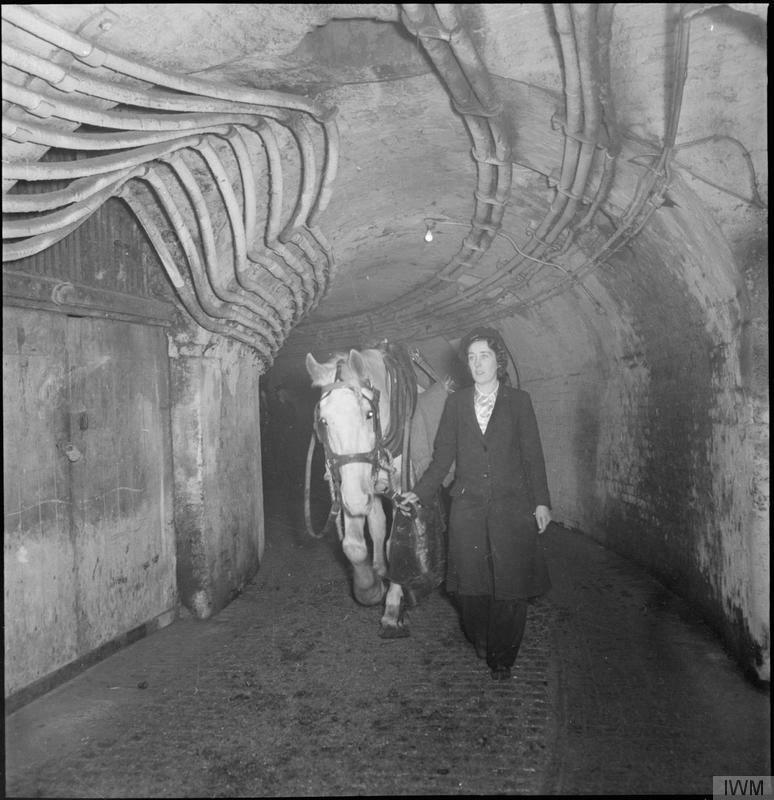 'To get the horses from one area of the station to another, there was an extensive series of horse tunnels (which are still there). Lilian had to take Snowball through the tunnel connecting the stables to the loading bay at the start of the day. Snowball apparently made the journey back on his own (which is a wonderful image – hundreds of horses trooping back through the tunnels on their way back to their stables. Presumably they weren't as keen to make the journey to work on their own). The station isn't named, but given that the lady worked for the LMS and made deliveries to Bloomsbury and the City, I assume that it would be Euston. Can anyone confirm this or advise the correct location? Re: Not enough horses (or women)? Great find Kentishman, this site http://www.crht1837.org/history/horsesstables would suggest that it is not Euston, but not far away at Camden Goods Depot, looks to have been an extensive system of tunnels - hence the nickname "The Camden Catacombs"
Morning Jim, many thanks for your Camden Railways History Trust post - fascinating and something of which I was quite unaware. It emphasises the extent to which horses would have been seen around stations and goods yards, plus the stabling that would have been required. It also raises a point about the quantity of fodder that would have been needed, yet fodder wagons are another item that tend to be overlooked on models of the period. The table setting out the working life of horse delicately refrains from mentioning knackers' yards, upholstery stuffing and adhesive manufacture, but these too are activities that went on and could be incorporated - I suppose it depends on how realistic you want your layout to be?